In every change, in every falling leaf there is some pain, some beauty. And that's the way new leaves grow. There's a little park near my house, at the top of a dead end street, where Payton and I spend time each day playing ball. It's one of the highlights of our day. 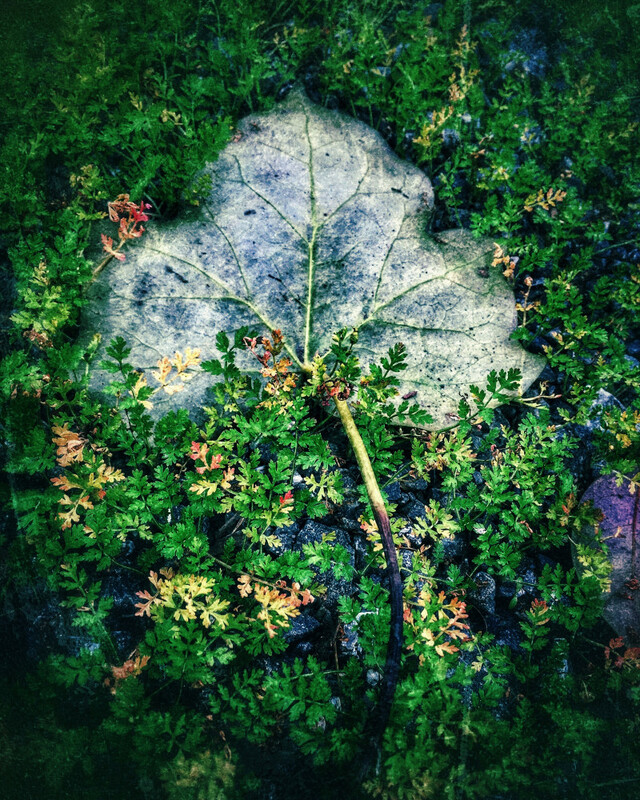 As we were leaving last week, I happened to look down and notice this leaf laying on a bed of green. I remember thinking how much it reminded me of a stingray resting on the bottom of the ocean... beautiful, elegant, and serene.